WHICH IS BETTER FOR YOUR HAIR: BLOW DRY OR AIR DRY? Are you the type of girl who runs out of your house every morning without drying your hair or are you the type who styles and make sures that your hair is very sleek before leaving home? What do you think is the best for your hair: to blow dry or to air dry? Photo by:tennantcoThe blow dryer was invented in the 1920s. Before the 1920s, men and women would use vacuum cleaners to dry their hair. They would use the vacuum cleaner hose and connect it to the back end of the vacuum and use it as a dryer. Photo by: squarespaceThe first kind of blow dryer that was invented in the 1920s was called the First Hand-Held Hair Dryer. This is big and would frequently overheat compared to the modern blow dryers now. At the same time, the first hand-held hair dryer is only capable of producing 100 watts of heat, which does not dry hair quickly. 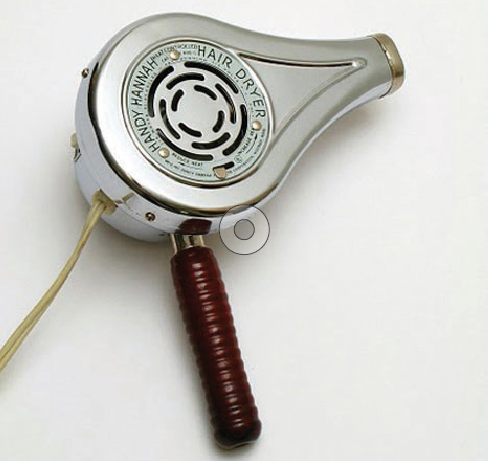 Photo by: grouponcdnIn 1951, the Bonnet Hair Dryer was released. This is more lightweight compared to the First Hand-Held Hair Dryer. 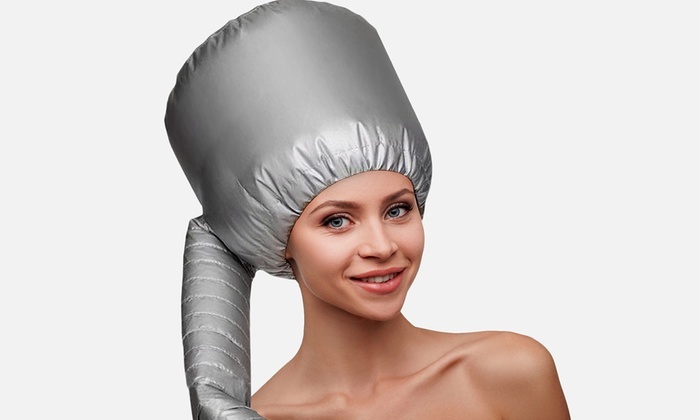 At the same time, the Bonnet Hair Dryer is connected by a tube to a bonnet that is worn on the head wherein the heat will be coming from the holes in the bonnet. This dryer is capable of producing 300 watts of heat, which will dry hair faster compared to the first one. After 9 years, technology has improved wherein hair dryers were more lightweight and is capable of producing 500 watts of heat. Photo by: bobitbeautyThe modern hair dryers that are currently available in the market now weighs less than one pound and is capable of producing up to 2000 watts of heat, which is twenty times better than the first hair dryer invented. The hair has both negative and postive charges on it. The water in wet hair is considered positive ions while ionic hair dryers has negative ions, which causes the particles to evaporate faster. In simpler terms, this will help the hair dry faster within a shorter time which will cause less damage to the hair compared to other hair dryers in the market. Some of the benefits of using an ionic hair dryer is that lower temperature can be used, it dries faster, and hair will be less frizzy, however this could over dry the hair and it will also not suite those with thin hair because it will look flat after drying and will not have enough volume. Photo by: katomcdnA ceramic is a material made out of clay. This can be used as a body of a hair dryer, a heating element, or used for internal parts. Ceramic creates infrared heat that helps preserve the hair’s natural moisture and shine. This heats up easily and quickly and is evenly spread out on its’ surface. Some of the benefits of using a ceramic hair dryer are: suited for dry and frizzy hair, airflow is distributed evenly, and temperature will adjust to the room temperature which will cause less damage to the hair. Photo by: grouponcdnTourmaline is a semi-precious mineral that has the ability to produce negative ions. With the help of negative ions, this can help dry the hair faster. By using a tourmaline hair dryer, it will reduce 40% of your drying time but this will not suite those who have oily hair because it may leave your hair looking flat afterwards. Photo by: imagesTitanium is similar to ceramic which distributes the heat evenly on its’ surface and keeps the temperature steady. 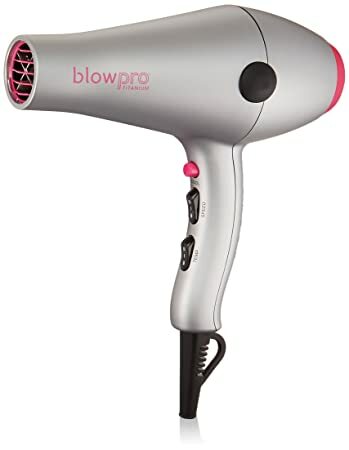 The only downfall with this kind of hair dryer is that it tends to get very hot so this is not advisable for thin and damaged hair since it can burn easily. However, this will best suite those with thick hair because this will speed up the drying process. Among the four types of hair dryer, you can see in the table below which kind of hair dryer will suite different kinds of hair. In order to get rid of tangles and knots on your hair, a blow dryer can help minimize this. At the same time, the heat of the blow dryer can help smooth out the hair and make it look healthy and silky. With the help of the heat of the blow dry, you can style your hair whether straight, curl, or to have some volume. Blow drying can help keep your hair healthy and have some volume. At the same time, blow drying will close the hair cuticles which will avoid the incident of having split ends. When blow drying the hair, it actually stretches out your hair and makes it longer in a natural way. Brushing the hair with the blow dryer will help remove the tangles, which will stretch the hair and make it look longer. Photo by: how to make your hair grow faster tipsAccording to renowned hair scientist, Dr. Niel Persadsingh, “The appearance of the hair depends largely on the health of the cuticle, the protective sheath of the whole hair.” The hair cuticle is the most important factor in hair growth since this is the outermost layer that protects the hair strands. The hair cuticle is made up of protein scales that keeps the moisture of the hair, which is also actually responsible for the appearance of the hair. Closing or sealing the hair cuticle is the way to maintain the healthy condition of the hair. If the hair cuticle is closed properly, it will keep the moisture sealed for a long time allowing the hair to be more flexible, soft, manageable, and not lead to breakage. There are two ways to keep our cuticles closed which are the pH level and with the use of heat. The hair cuticles opens and reacts to all chemicals placed onto the hair which also includes water. The range of the pH level of the hair should always be between 4 to 5.5 so it is important to check the shampoo and conditioner that you are using. As for heat, this can actually help lock in the moisture in the hair. Heat should always be used mildly such as the hair dryer to help close the hair cuticles and help it seal all the nutrients and avoid all dusts from coming in. Each hair strand is covered with cuticles, which are the layers of protein that protects the hair from damage. Hair cuticles will be open when our hair is wet so heat or blow drying would be needed to close the hair cuticles in order protect our hair. Whenever using blow dryer, the temperature should not be too hot or this will cause damage. The temperature should be just right wherein the cold and hot temperature should be used alternately. As mentioned above, there are four different kinds of blow dryers that will suite on different kinds of hair whether it’s thick, thin, or dry. It would be best to use the blow dryer that will best suite you in order to get the best results. Photo by: gifyuThe kind of brush being used while blow drying is very important. Never use a metal brush because this can heat up very easily and can burn the hair. It is best to use a brush with a mix of nylon and boar bristles. Wash your hair with shampoo and make sure that no residue is left. Pat dry your hair with a towel and do not rub it against the towel as this can cause split ends and frizziness. After the hair stops dripping, separate the hair into four to six sections. The fewer the sections, the longer it takes to dry that part. Blow dry the hair from top to bottom and never the other way around. Also, remember to move the blow dryer around because having too much heat on one area will cause damage to the hair. Blow drying the hair should not be completely dry because it would be better to leave some moisture to the hair so that it will not dry out and get frizzy. The roots should be a hundred percent dry while the ends of the hair should be eighty percent dry only. Let the ends of the hair naturally dry in around five to ten minutes. Apply some moisturizer to hair to give it some moisture and give it some shine. Brush through your hair gently to remove all the remaining tangles. Blow drying the hair will take at least thirty minutes and the drying time will also depend on the thickness of your hair. With air drying, you can save more time! Air drying will leave an effortless style to the hair while blow drying will leave a polished and sleek look. This will save you some money since you would not need to purchase a blow dryer and a hair protectant. Since you would not blow dry your hair, you would instinctly think that you should wring out your hair and make it as dry as possible with the use of a towel. This is a BIG NO. Twisting and squeezing your wet hair can cause frizziness and tangle the hair. Moreover, this can also remove all the moisture out of the hair which is not healthy. When blow drying, a hair protectant and a moisturizer is usually applied to the hair. However, a moisturizer should still be applied even though you are not going to blow dry your hair since this will add moisture and reduce the frizziness. One of the dangers of air drying is not having any heat which will make dust enter and make the hair cuticles open and break apart. As seen it the photos above, air dry finish does not look healthy and will still have open hair cuticles which is bad for the hair. On the other hand, the blow dry finish looks very healthy and gives volume to the hair wherein the hair cuticles are closed and will not let any dust get in. One of the most common mistake is washing the hair everyday. “If you shampoo everyday, it will strip your scalp of all its natural oils and can lead to dry, brittle hair,” says Julien Farel of Julien Farel Restore Salon & Spa in New York City. This statement was based on his own experience on his clients. He would notice that the scalps of his clients tend to become less greasy when they shampoo less and it would be best to shampoo the scalp two to three times a week. On the other hand, you can apply conditioner daily since this can add moisture to the hair and replenish all the lost nutrients. When the hair is wet, it is considered weak and fragile. It is best not to comb the hair while it is still wet because this can lead to breakage, however you can brush the ends of the hair only. Only blot the hair when towel drying and do not try to squeeze all the water out because squeezing and rubbing can lead to frizziness and breakage of the hair. Try to be very gentle with the hair because it will become healthier in the long run. The heat of flat and curling irons are more concentrated since this will directly be in contact with all the strands of the hair. The damage that will be created will depend on the use of it. At the same time, the most damaging factor is the use of flat and curling irons on wet hair. This will burn the hair and the follicles of the damp hair strands, which will weaken and break the hair. Air drying is really bad for the hair. Heat or blow dryer should always be used at the right temperature so that the hair cuticles will be sealed and closed. Whenever the hair cuticles are sealed and closed, this will lock in the moisture and help protect the hair from any damage. It really is important to blow dry the hair because if we just leave it to air dry, the hair cuticles that are protecting our hair will be damaged and open which will let dust come through. Remember to always allot at least 20 minutes to blow dry your hair so that your hair will become healthier in the long run!